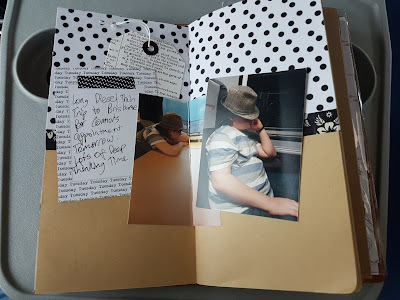 I got short notice for a trip to Brisbane with the boys for appointments this week and I thought the new TN Scrapbooking Kits from Scrapping Fun Kits were perfect for taking minimal supplies to scrap. It meant I could take even less weight in my bag then what I did last November when I scrapped on the Tilt Train. I put up a video on how I set up my TN for this trip, the only thing I added after filming the video was I added the papers from the August Kit from Scrapping Fun Kits and a Music die cut. It was a great way to pass time on our journey and I got 3 layouts done very quickly. The first layout I worked was about going to lunch with some close friends, something we had not done in a couple of years so it was a real treat. I only used items from the promo kit for the TN Scrapbooking Kit range to complete this layout and the date stamp from the Basics Kit. My stamping is smudged but I am happy with the results given I was on a moving train. I used the cute yellow wood with flower paper on the right and some of the die cuts from the kit on the left. I then used some of the washi from the kit to pull the layout together by having it go across the 2 pages. The second layout I worked on was about how much I love hearing the boys practice their instruments. 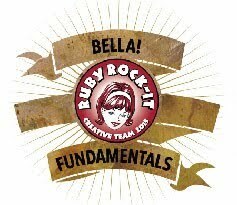 I used items from the August Embellishment Kit and the 2 3D metal flower die cuts from the promo kit. Getting a straight edge with scissor on a train was difficult but I really wanted to trip the papers and one of the photos. 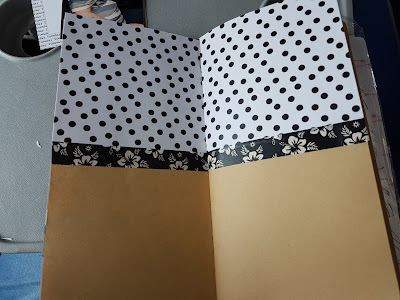 For my third layout I ironically was recording my last Tilt Train trip with Mr C.
I started by cutting the spotty paper in half so I could put it across the top of the spread. I wanted a black and white only layout so restricted myself just to black and white bits from what I had with me. I added some of this cute washi along the bottom of the paper to hide my crooked cutting. Then I built my layers with what I had left that was black and white and my photos. 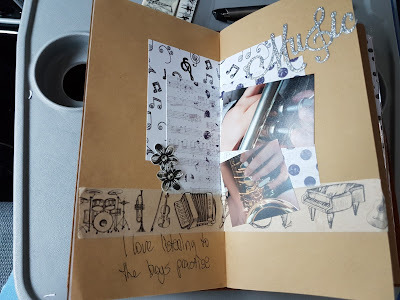 I used a newsprint tag from the promo kit and a journal card with the word Tuesday repeated all over it from the Basics Kit to build some layers. 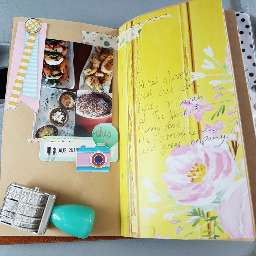 Cutting my photo with just scissors on a moving train meant it wasn't perfect but I do love how the layout turned out. I feel I need to add something to this one, not sure what but I think it will be one I tinker with later. 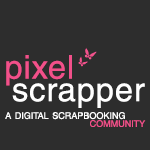 Scrapping on a long train journey is a great way to pass the time and these kits are perfect for portable scrapbooking. I loved being able to get these layouts done while the boys listened to music and read books.